PTC's acquisition of Servigistics is just the latest step in their 25 year evolution. PTC Live provided a great snapshot of how far they have come and where they are going. In early 2000, not long after PTC1 acquired a small internet PLM company called Windchill Technology, I was brought in (as a consultant) to help with messaging and positioning for Windchill, primarily around the concept of Design Anywhere, Build Anywhere. In the course of that project, I briefly met Windchill’s founder, Jim Heppelmann, and worked with some of his senior team. I was impressed with the people, products, and vision. When an innovative startup is acquired by a much larger and more mature firm, it is pretty common for the founder of the startup to leave after a year or two. They tend to get the entrepreneurial itch to build something new. 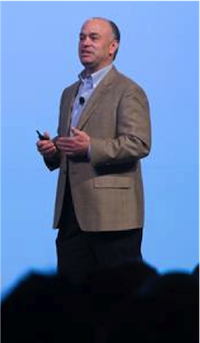 But fast forward to today and Jim Heppelmann is not only still at PTC, but is running the show as President and CEO. In fact, I submit that PTC’s culture, strategy, and vision have been largely shaped by Jim. His engineering background brings with it a real enthusiasm and appreciation for PTC’s products. But he also has a broader vision about the wider possibilities for product-related information, as punctuated by PTC’s recent acquisition of Servigistics (see Who Owns Service?). That acquisition may have as big an influence on PTC’s evolution as their acquisition of Windchill did 14 years ago. So, it was with great interest that I attended PTC Live 2 and the companion event, PTC Live Service Exchange.3 The opening keynote started with Pat Hennessy playing an extended medley/solo (culminating in a rendition of Jim Hendrix’s version of the Star Spangled Banner) on the new Aristides guitar, which, of course, had been designed completely in PTC’s premier CAD tool Creo. Jim Heppelmann then took the stage to lay out how manufacturing is being transformed. Jim talked about the digitization of manufacturing—having a complete, accurate, virtual/digital representation containing everything the enterprise knows about each product: the 3D design, BOMs, instructions for how to build, install, and service, individual configuration information, and much, much more. This digitization is the core of what PTC does and it has transformed how products are designed, built, and serviced. Simulation and visualization have allowed steps that used to require mockups and prototypes to now be done entirely in the digital realm. Visualization can produce photo-realistic 3D views. Simulation can test out form and fit, ability to manufacture and service, and actual operation in various environments. This dramatically accelerates concept to production, while reducing risk and capital expense. In today’s world of ever-shrinking product lifecycles, this acceleration is a key competitive capability. Further, this rich digital information can help throughout the product’s lifecycle, such as by providing step-by-step visual 3D instructions of how to do a specific repair. Below is part of a video clip that Jim showed illustrating this. Imagine this replacing the repair manual—this is so much easier to understand than a written description, being intuitive and independent of any specific language or literacy. Note: The video clip below is silent - it has no sound track. I spoke with John Kuta, PTC’s Solution Manager for Compliance and Environmental Impact. He spoke of the well-documented fact that the earlier in the product design process you get a handle on compliance, the more money and time you save. Problems discovered in the handoff to manufacturing are much more expensive to fix than those found during concept and design. A tool like Product Analytics helps find these problems early. PTC’s approach is based on a modular OSGi platform that various modules can be plugged into, to collect data from internal systems, suppliers, and other sources, and check the performance of a product design against various target requirements for that product. These requirements could be compliance with a weight or power budget, or REACH or RoHS materials, or anything that you can collect data about and build rules to check for (hence Design-for-X). Out of box PTC’s Product Analytics includes conflict minerals, REACH, RoHS 2, and ELV modules. But the tool can be configured to analyze just about any quantifiable requirement. The next big force Jim discussed was globalization. In fact, PTC now refers to “Design Anywhere, Build Anywhere, Sell and Service Everywhere.” To do this effectively, a company needs a connected platform, the single version of truth about their products to support large globally distributed design teams collaborating together, parts reuse, and disciplined engineering and configuration change processes that propagate across the enterprise. Along with a global footprint comes global regulations and the need to ensure compliance with environmental, safety, health, and supply chain traceability, such as REACH, RoHS, and Conflict Minerals. PTC addresses these and other “Design-for-X” requirements with their Product Analytics (see sidebar). In the globalization discussion, Jim also discussed “reverse innovation,” where product concepts and designs flow from developing countries back to developed countries, rather than the other way around. This is a trend we expect to see more of, as discussed in “Innovating Cheap: The Key to Tapping the Enormous Potential of Emerging Markets.” As an example, Brian Rauch, SVP Manufacturing and Supply Management at John Deere showed their ‘frugal’ wheel loader, designed in India and China, and sold at half the cost of the typical models used in developed countries. Jim made the point that the key to successful personalization is achieving “diversity with scale” through a platform approach. 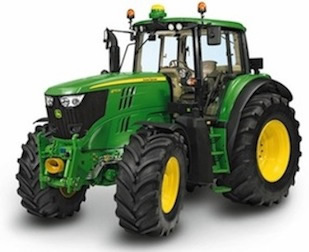 A good example is Volvo Trucks, which sells several hundred thousand trucks annually in over one hundred thousand unique configurations, and John Deere, who sells tens of thousands of tractors with an average of only 1.7 tractors per unique configuration. They can only do that economically via a configurable product platform, and enterprise systems that can track all these unique configurations from design to build to service. As the cost of embedded computers continues to fall to near zero, we see software and intelligence showing up in more and more products of all types. This makes products smart, changes how we interact, and enables collection of diagnostics and service information communicated back to users, service providers, and the manufacturer. It is harder and harder to find a product company that is not also a software company. This was one of the reasons PTC acquired MKS two years ago and considers Application Lifecycle Management to be one of the pillars of its solution suite. Jim mentioned that Continental, a tier one German automotive systems supplier with 120K employees, has far more software engineers than hardware engineers. These software engineers build intelligence into cars … like windows that close automatically if the car senses it is raining. Once you have embedded computers within a product, it is a natural next step to add communications capabilities. Smart products connect back to the ‘mother ship,’ sending usage information and statistics, performance info, sensor information, and can be remotely configured or updated. This is powerful. For example, PTC’s customer Schneider Electric outfits high performance buildings with remotely monitored and controlled lighting, HVAC, and security, which they say can reduce operating costs of a building by 30%. Remote monitoring, sensing, and controlling of products is really taking off and is a key enabler of servitization. All these pieces together enable Servitization—moving from simply providing a product, to providing a total service/product combination, and ultimately product-as-a-service. For years, manufacturers of complex products have often made most of their profit from services. And the service component is increasing—such as the length and coverage of warranties for automobiles—incrementally shifting the risks and ownership responsibility from customer to the manufacturer. Now we are seeing a shift to product-as-a-service (see sidebar - Service Model Evolution). 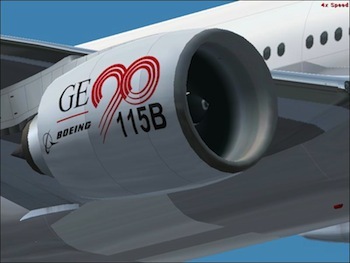 Examples include GE and Rolls Royce jet engine divisions, who sell ‘power-by-the-hour,’ where they (the manufacturer) own and maintain the engine throughout its life and charge for each hour of use in flight. Other examples include Hubway bike sharing systems (pay for use instead of owning a bike), and Trane Intelligent Services (comfort-as-a-service instead of owning an HVAC system). This is a trend we have discussed from the buyer’s perspective in Outcome Sourcing: Buying Results. At Service Exchange, Lee Smith, PTC’s GM for Service Lifecycle Management, talked about five phases of transitions from a pure product model to a services model. Product-focused: concerned with time-to-market, and lowest cost. Service Parts: seeks opportunities to improve parts availability while reducing inventory across a multi-echelon network … still a significant source of opportunity for many firms. Service Contracts--(time and materials based): typically break-fix, concerned with how to make the technician more efficient, parts more reliable. Service Contracts--(revenue-centric): looking for revenue opportunities beyond break-fix, such as remote monitoring services, optimization of use, etc. An example is Restaurant Technologies that makes deep fryers for use at McDonalds, KFC, and others. They also provide remote oil management services (monitoring filtration, levels, deliveries, etc.) to get the best quality and most economical results, while improving safety, cleanliness, and sustainability. Services Model: the customer is not buying the product, but buying the outcome. This has deep ramifications for the solution provider on how they sell, how to capitalize the equipment on their books, and so forth. This really changes the whole relationship between provider and customer. We have seen something similar in the software industry’s shift from traditional perpetual license to Software-as-a-service (see On Demand Now! : How On Demand/SaaS is Radically Changing the Enterprise Software Industry). In both cases, the solution provider moves from being a transactional business whose revenues and success are dependent on selling more things or licenses every quarter, to a renewal business that depends on keeping customers happy year after year. With as-a-service, customers automatically have the latest and greatest products. Risks are shifted to the manufacturer. The manufacturer is incented to make parts and machines that last much longer, do as much service remotely as possible, and have predictive maintenance to keep that machine running. The solution providers’ interests become much more aligned with the interests of the customer. SaaS providers also have much better visibility into how their solution is being used. They can see exactly how various features and functions are used, where people have difficulty or get confused in using the solution, etc. Similarly, physical products outfitted with many remote sensors allow the provider many insights and the ability to provide value add services, like improved ease of use, better fuel economy in trucks or jets, better safety in equipment, and optimized outcomes. Moving from a product revenue model to a subscription revenue model also has big impacts on the solution provider’s cash flow, painful at first but much more predictable over the long run. These are just some of the changes. Mr. Heppelmann concluded his keynote address by saying this is a transformational moment and a great opportunity for PTC. I don’t know if it is actually a moment in time—this transition to an ‘as-a-service economy’ has been happening for many years, and will continue for many years to come. But I do believe it is truly transformational, changing the fundamental relationship between customer and provider. And by bringing together all these pieces—full CAD suite, PLM, SLM, ALM, and SCM—PTC has positioned themselves well to ride this wave. Multi-CAD support—One of the announcements that got a big applause from the engineering audience was that Creo 3.0 will be able to directly use SolidWorks, Catia, and NX native files with no importing or duplicate files. This will be provided out-of-the-box and at no additional cost, and is planned for delivery early in 2014. Virtualization for Creo 2.0—PTC announced the availability of virtualization in build M060 of Creo 2.0, available this month (June 2013), running on IBM servers, with NVIDIA graphics, and Citrix XenDesktop on Windows. Certified apps include Parametric, Direct, Layout, Options Modeler, and Simulate. Compared with running CAD locally, this enables quicker installs, easier administration, more dynamic scalability, performance gains by collocating Creo with Windchill, and better IP protection by keeping the data on the server. Customers Help Tell the Story—The second part of the day 1 keynote session, led by Brian Shepherd4 and Mike Campbell,5 included several PTC customer’s stories interwoven with PTC’s narrative. I thought this was an effective way to tell the story. GKN, a tier 1 German auto manufacturer, showed a 3D simulation of a drive shaft going over a bumpy road. It was a great visualization of how they were able to simulate rough conditions and see how their parts performed before building anything. Flowserve, the world’s largest provider of fluid motion control,has over 9M product-related documents. Their engineers found it difficult to find already designed parts for their needs and as a result were constantly re-inventing the wheel. Flowserve implemented Windchill to de-proliferate and standardize designs and leverage cumulative experience. 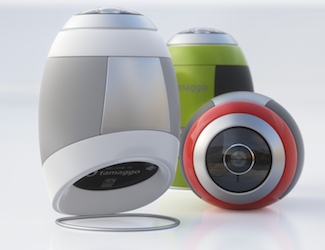 Tamaggo makes a camera (right) that takes a 360⁰ panoramic picture with a single click (pretty amazing). They created it entirely in Creo, from the very first concept drawing through multiple deep design transformations. The look and feel was just as important as the functionality. They did it all in just 9 months, with a very high confidence level in the final product. Concept Design—Creo 3.0 will include immersive design right out of the box working in real time with highly realistic real world materials, lighting, background. And Freestyle which allows complex organic shapes to be delivered in high quality product-ready surfaces, blending freeform shapes together with traditional section based parametric shapes, where the freeform shape can be parametrically derived. (Here’s a page with a couple of videos showing Freestyle—seeing it in action is way cooler than reading about it). Servitization Examples—I heard a number of good examples of servitization by PTC’s customers6 such as BMW’s Ultimate Service which includes zero cost maintenance, unlimited mileage roadside assistance, TeleServices (the car informs your service advisor when it needs service), and more recently DriveNow (car sharing of BMW's first all-electric vehicle, the BMW ActiveE) and ParkNow (online mobile parking service). Or Schaeffler Industrial Services that sells ‘bearings-as-a-service’—instead of selling a bearing for a large complex machine like a wind turbine or a cruise ship, they offer a multi-year agreement, pay-per-rotation. Their bearing has sensors and software that monitor the number of rotations, amount of wear, condition of oil, and proactively tells you to replace or fix it before something happens. Or Schindler, who makes elevators and escalators, providing people-moving-as-a-service with guaranteed uptime. 67% of their revenue comes from service. Or Philips Healthcare that offers MRI-as-a-service, where the hospital or clinic pays by the scan instead of buying the machine. This Servigistics acquisition is only the beginning of this story for PTC. I’m sure we will see many significant developments from them in the coming months and years. I expect PTC to play an important role in the growth and development of the as-a-service economy. That bodes well for PTC, their customers, and shareholders.